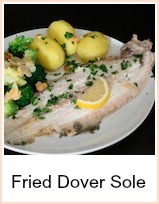 Dover Sole is a most prized fish. It has a mild buttery flavour and needs minimal dressing. This classic dish is a simple pan fry method. It is the exception to the rule that fish has to be freshly caught to be good - its flavour intensifies and is best when its 2 or 3 days old. Keep the skin on whilst cooking and then fillet it on your plate - if you keep the skin, then you will need to descale it and you do this by running the back of a knife along the skin against the 'grain' of the scales. They will scrape off quite easily, but it can be a very messy job and so you may want to ask your fishmonger to do this for you. On the occasions I've done this at home, I find fish scales sticking to kitchen equipment days later. You can leave the head and skin on the fish if you want to - or you can dehead it and remove the dark skin. If you can't do this, then ask your fishmonger to dehead it - take the skin off or descale it. Watch while he does it and then you can have a go yourself next time :-) or not as the case may be! 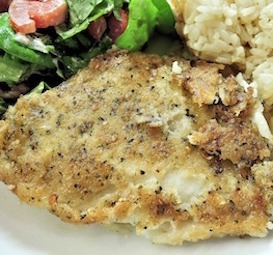 The white skin helps keep the shape of the fish and gets very crispy. Serve this with some new potatoes and veg or a salad - use a herb butter for the veggies if you like. 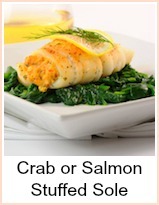 Have the side dishes prepared before you start to cook the fish. It needs 8 to 10 minutes to cook and about 2 minutes to finish off the pan juices. Put the milk in a large dish and season the flour and put it on a plate. Dip the fish in the milk then into the flour making sure it's well coated. Fry the fish for about 4 minutes on each side. Transfer them to warmed plates. Add the rest of the butter and lemon juice to the cooking pan. Scrape the the residue from the pan and turn the heat up. Pour the sizzling butter over the fish. Scatter the parsley over and serve with some new potatoes and veg - try green beans, broccoli or similar. A simple salad would be equally good with some buttered new potatoes would be equally good. 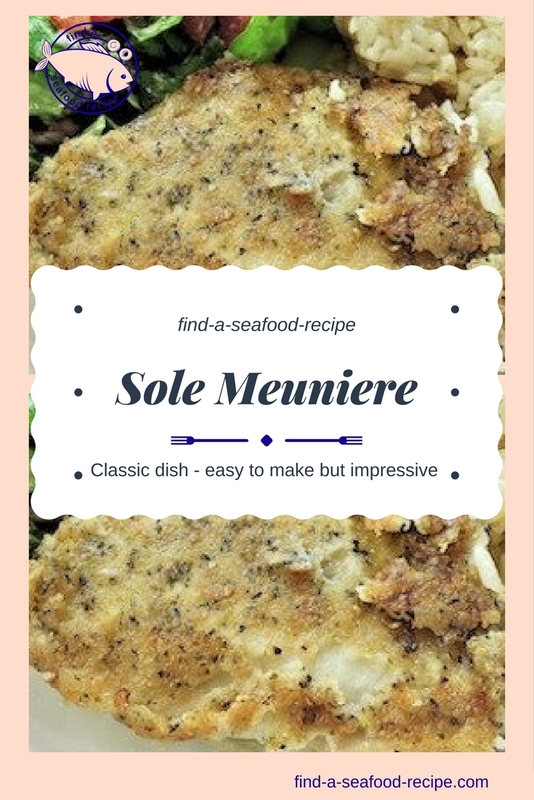 A classic Sole Meuniere, this is the simplest way of cooking Dover Sole and lets the wonderful flavour come through. 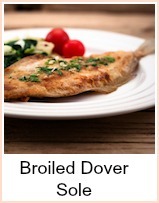 You really don't need fancy sauces for this most delicate tasting fish, you'd spoil it.